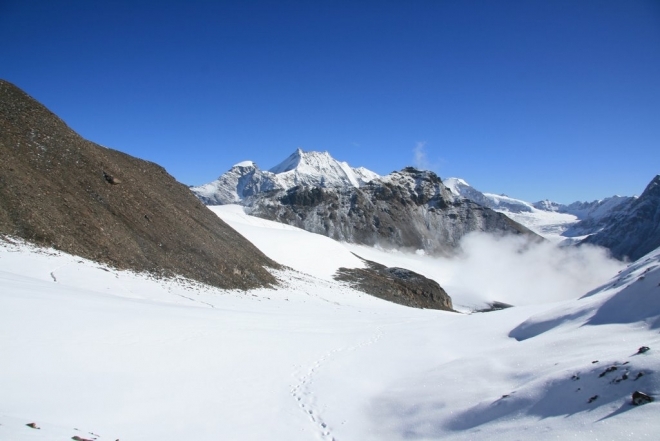 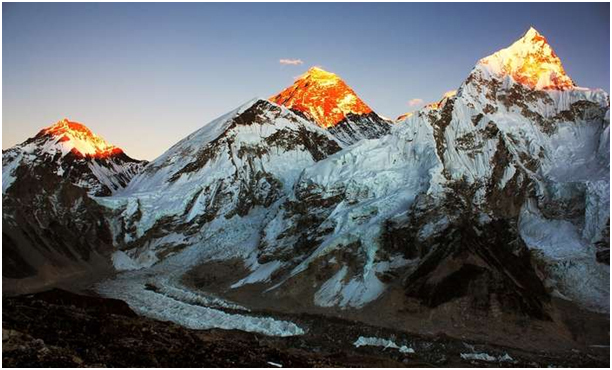 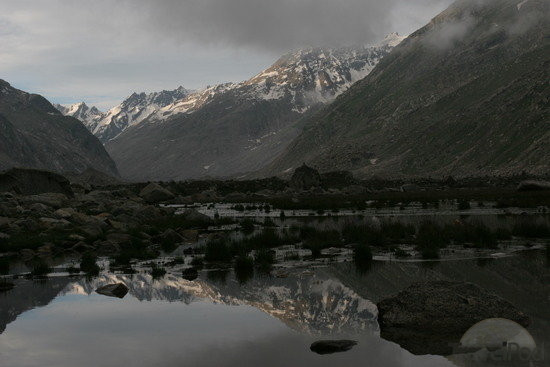 At an altitude of 4100 meters Manatalai is a great trek for Modertate trekkers. The best season to Manatalai trek is in the month of July to September. 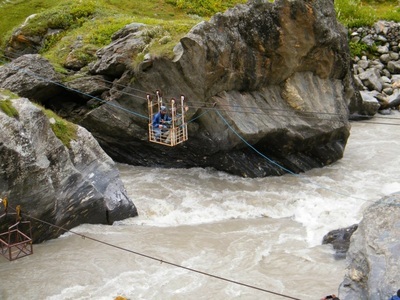 A beautiful although challenging trek, for most part of it you will hike alongside the gushing and roaring Parvati River. The amazing trek tour begins via crossing over the flourishing green Parvati valley and beautiful Landscapes in Kullu which falls in the range of Great Himalaya. The heavy snow fall gives an alpine feeling and experience to remember for life time. 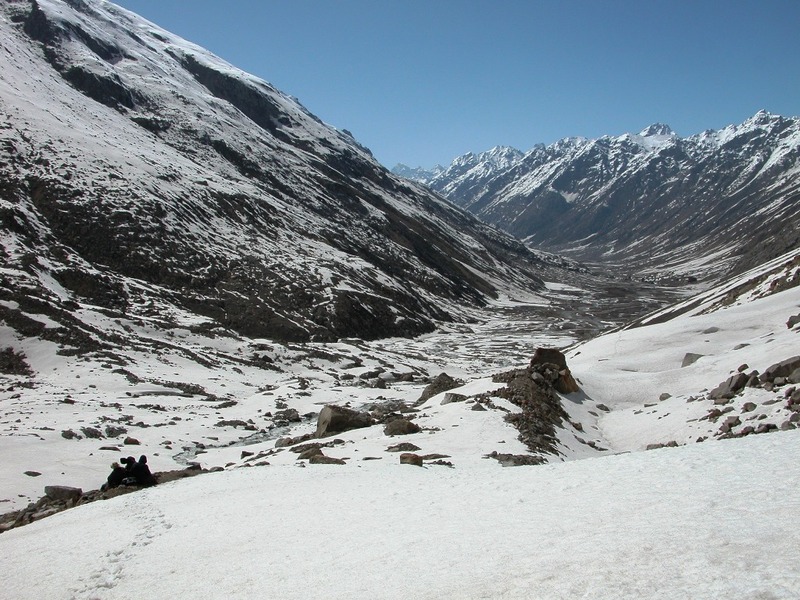 Those who find it cumbersome to cross the difficult Pin Parvati pass (5319 Meters) can return back from Manatalai or Pin Parvati Base. 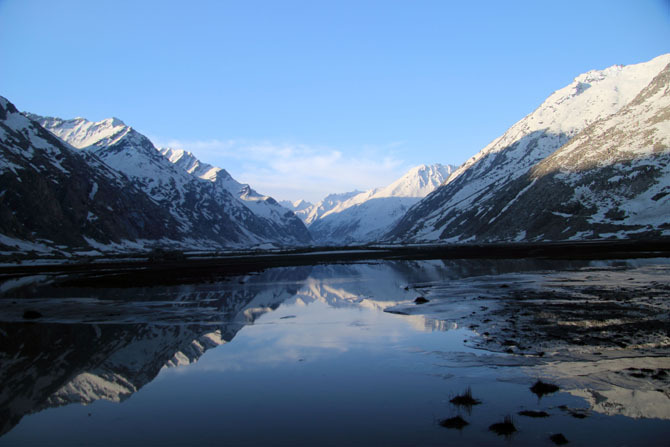 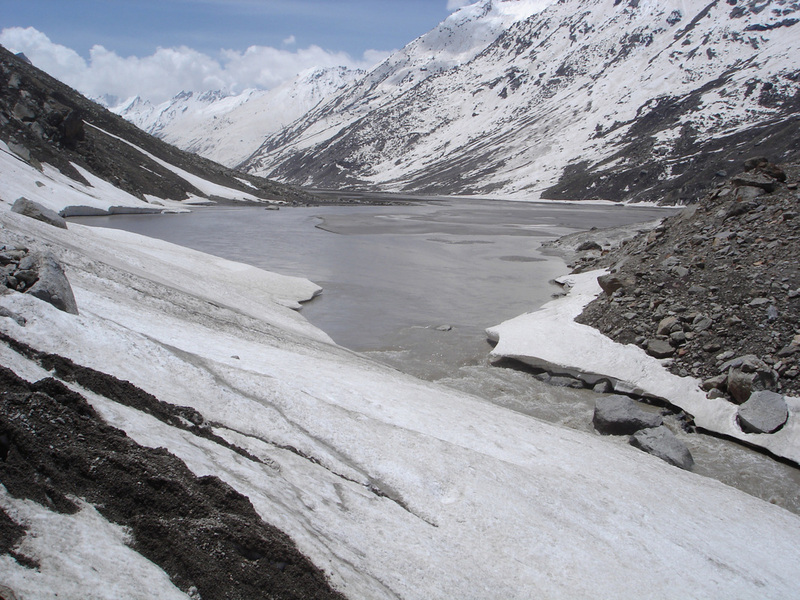 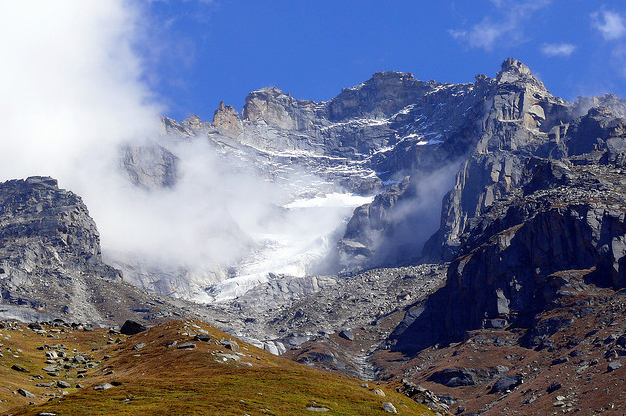 The name Pin Parvati Pass is derived after the linking of Parvati valley in Kullu and Pin valley in Spiti. 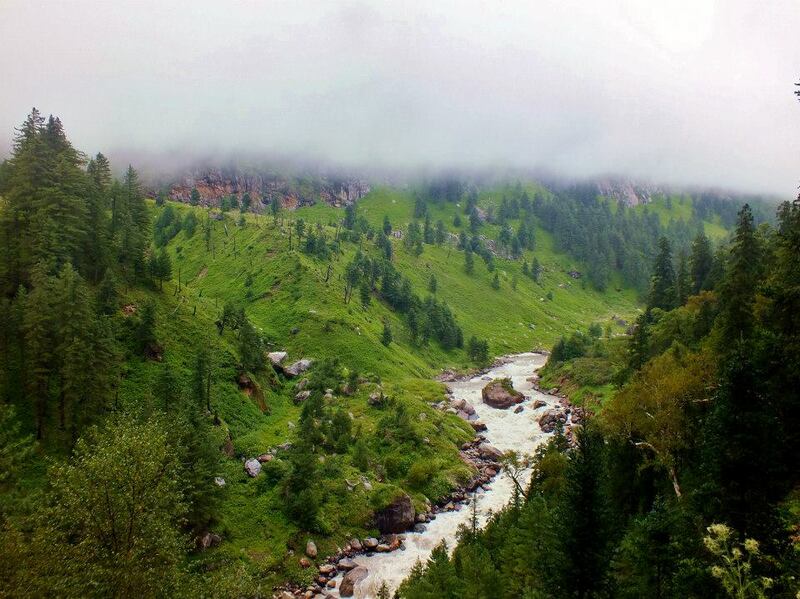 The trek begins with Kullu and straight away driving to Barsheni Village. The holy place of Kheer Ganga gives a change to take a deep bath in hot spring water tank. 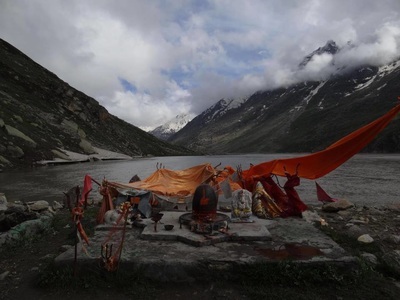 This place is devoted to Lord Shiva. 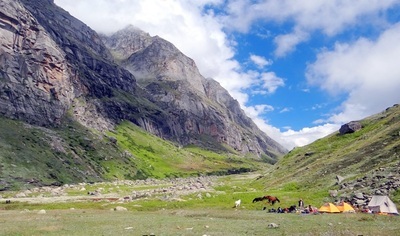 Sir Louis Dane first discovered this high pass in August 1884, as it links Pravati Valley from Kullu to Pin Valley in Spiti hence the name Pin - Parvati. It's a rare pass in Himachal which is not discovered by shepherds. The trek starts from Barsheni Village near Manikaran Gurudwara, a holy shrine of Sikhs famous for it's hot water springs. 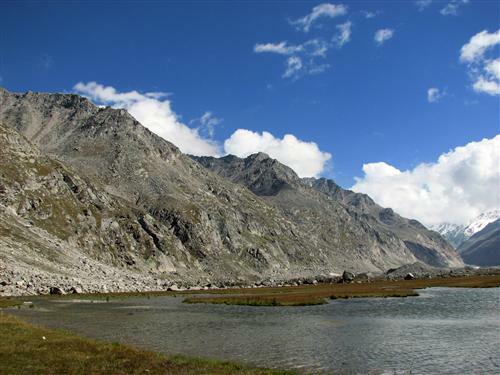 Today’s trek is a gradual walk through boulders, culminating in a plateau with large array of muddy swamp land next to Parvati River. There are huge scattered boulders which need to be climbed and moraines need to be crossed until we see a suitable camping spot on a level ground next to the Manatalai lake. Manatalai Lake is the source of the wonderful Parvati River, which has given beauty to the entire valley. We camp here tonight. 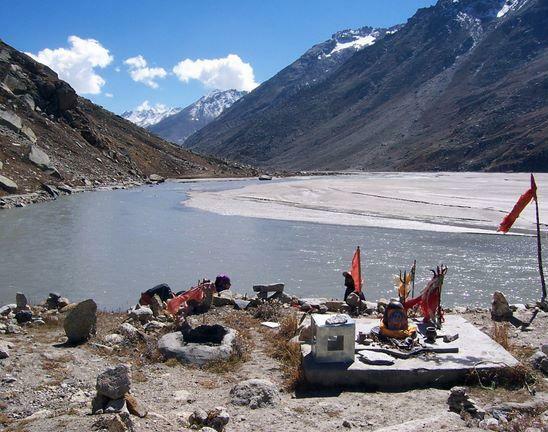 We retrace back to Thakur Kuan today. 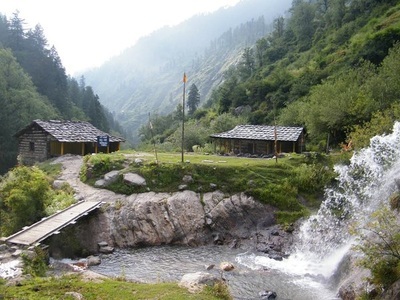 We retrace our steps back towards Kheerganga via Thakur Kuan and camp here tonight.